A head, cabinet and VIP tickets are up for grabs! 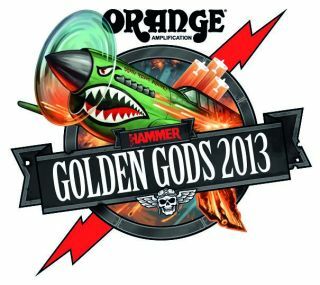 Legendary British amp company Orange is sponsoring the 2013 Metal Hammer Golden Gods Awards, and to celebrate, Guitarist has teamed up with the amp gurus to create a mighty prize package. We're offering you the chance to win a Dark Terror and PPC112, together worth over £700, plus a pair of 'money can't buy' VIP tickets to the award ceremony on 17 June at the IndigO2!